The healthcare system of the United Arab Emirates is run by four regulatory authorities namely, DHA, HAAD, MOH, and DHCC. They are responsible for making sure that the Emirati Nationals and foreigner residents receive the best possible treatment and health care. In addition, these regulatory authorities are also responsible for enforcing quality standards for licensure through license examinations. 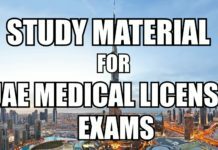 Doctors and healthcare professionals have to take these exams for being licensed in order to be allowed to apply for jobs and practice in UAE. 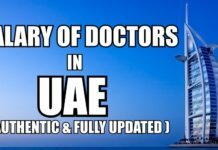 Recently we wrote an article where we discussed salary of doctors in UAE based on factors such as academic background, qualifications, experience, the area of specialty and country of nationality. And since then, we have been receiving too many emails inquiring exemption criteria for HAAD, DHA, MOH & DHCC license exams. So we decided to write a detailed article and explain the eligibility criteria for exemption from UAE medical licensing exams. But before we go on into details regarding exemptions from HAAD, DHA, MOH & DHCC license exams, let’s take a look at the authorities awarding these licenses and their validity in different Emirates. DHA License: This license is granted by “Dubai Health Authority” for hospital jobs based in Dubai. HAAD License: This license is granted by “Health Authority of Abu Dhabi” for hospital jobs in Al-Ain and Abu Dhabi. MOH License: This license is granted by the “Ministry of Health” for positions in Sharjah, Ajman, Fujairah, Ras Al Khaimah or Umm al Quwain. MBBS or equivalent qualification from a recognized institution. Completion of house job (internship). 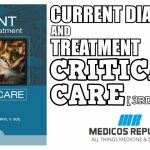 Additional two years of clinical experience. We will try to simplify everything as much as possible so that you’ll have a clear understanding of the exemption rules. The regulatory authorities have specified certain categories of health care professions and professionals to be eligible for exemption from all components of the examination requirement for licensure, subject to satisfying DHA, HAAD, MOH, DHCC set criteria (mentioned below in tables). This aims to encourage qualified and skilled healthcare professionals to apply for a DHA, HAAD, MOH, DHCC license to practice in the United Arab Emirates and to ensure that regulations are applied in an efficient and effective manner. inclusion in the Specialist Register in a specialty that is among the UK C.C.T. We hope that the eligibility criteria for exemption from UAE Medical License Exams (DHA, HAAD, MOH and DHCC) is clear to you now. Sorry to say.you must appear in qualifying exams. What if you do specialisation from Qatar? It has ACGME accreditation. Do you still have to appear in licensing exam? i am a specialist urologist in pakistan and habe done FCPS urology more than 2 years back from pakistan. I want to give HAAD. Wat is required for viva/interview. When can i Give HAAD. How to appear in HAAD.i am isb based. I am FCPS radiologist.I have two yrs post fellowship experience in Pakistan.Do I come under exemption? Is it part one Or both patrs? It is for both, definitely. Thanks for such meaningful post. Can u plz share the timeline of applying like are the positions open all round the year or there is a specific month. Secondly is there any centralized point where we have to send our credentials . Kindly guide on exactly where to send our cv and other documents . Once again thanks a Lot for so purposeful post .May God fulfill all ur wishes and bless u with a wonderful and bright future. Person can clear plab 2 right after housejob. So in this case he dont need to have two year clinic experience and after passing plab he can work in uae. Yes from the post ; it means the same. But even I would like to have this information confirmed. I would also like to know if someone has passed MCCQE2(Canadian exam) then no need for UAE licensing exam, what about the minimum 2 year clinical experience? Plz clarify this point. Yes we need clarification here bcoz its not clear. Is there a validity period after passing USMLE step 3 to be exempted from UAE exams? 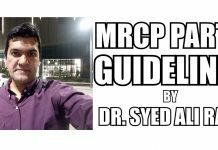 What about MRCP and MRCS; Do they work as a pathway for exemption from licencing exams ?? I am a physician from Egypt. Please guide how I can pass the MOH exam in UAE. Is it similar to exams such as USMLE, AMC, PLAB etc? Please advise. Thanks! Hi.. What about speciality certificate exam clearance from uk. Does it got exemption from license and want to know whether the certificate is considered for specialist category or not? What about who has passed saudi speciality board .sle. Am i exepmt from licensing exams and can i apply theredirectly for my remaining training? I complet my mbbs cours from china.and i want to work in UAE i need to pass pmdc also or just need to pass Haad for job in dubai? I have completed postgraduation in orthopaedics from india. I am in the process of clearing MRCS( part A cleared, will appear for part B in few months). Will i get exemption from licensure examination after clearing MRCS? Hi how r u?im also giving mrcpi.in wich countries is it recognized and what r its benefits?any scope in pakistan? Hi i have done mrcs from Ireland and I have registration under imc . Will I be exempted? HAAD and DHA have very clear guidelines and procedure on how to apply for licensing for all healthcare related professionals including Nurses, Lab Technicians, Radiographers etc. Which particular field/ profession you want to know. Hi…I am working as Embryologist last 7 yrs in India. I have masters degree in biotechnology. Pls guide me for requirements for working in UAE as an Embryologist. I would like to know about that do we have to verify that examination pass record from DATA FLOW. Like suppose plab 2 result ? And if we have to verify from data flow where and in section of application we need to upload that document in data flow application. I have passed Plab 2 examination. I need help do I need to verify plab 2 result from data flow ? If yes then in which section should I upload my result in data flow application as there is no specific Place to verify the examination certificate for exemption. If i have to work in CANADA do i have to clear MCCQE and appear for specialisation certificate of RCPS? Can i directly apply for Specialisation certificate of RCPS? I have Irish medical council General registration through exemption on basis of internship route and am working in Ireland. Plus I have passed MRCSI … am I exempted? I graduated from Romania did 2yrs of medical practice got registered with Irish medical council (IMC) under General registration now working in Ireland for almost 1 year now. Am i exempted from the Dubai Exam or do i need to appear for the exam? I am MBBS DGO with 15 years experience as GP and 10 Years as OBGYN. I recently cleared DHA GP exam. Please guide me about how many salary should I negotiate for. I will be highly obliged. I passed MOH exam in 2006 and I worked in Sharjah for 3 years and returned to India in 2009. Now I wish to go Sharjah again. Shall I use my old MOH license now or do I have to take retest. If yes what is the procedure. PLAB 2 would do enough, as indicated by their policy. If you have passed PLAB 2, you can directly apply for an exemption from the said licensure examinations and get a license-to-practice directly. I completed FCP in South Africa and in PQR South Africa for CMSA is in Tier 1 but South Africa is not included in list above for exemptions in category if specialist consultant. – Studying Masters in public health, due to which I have a 2.5 years gap of practice. It would be really helpful if you can suggest me what steps do I require now? Yes, you are exempted. Please check the tables for more information. Yes, you’re exempted from these licensure exams. I got a message from a consultancy saying that only cct training is exempted and only mrcp uk is not enough and we have to write the exams. Can you please provide any official site which states mrcp uk is exempted from the licensure exams. Hi I’ve full GMC registration with licence to practice, currently in UK. I’ve passed FCAI( Fellowship of Royal College of Anaesthetists, Ireland) and EDAIC (European Diploma in Anaesthesia and Critical Care). Do I still need to clear the licencing exam? Looking at your credentials and work status, I believe you’re exempted from UAE’s health licensure exams. Oh thanks for your reply..how can I definitely come to know whether I need it or not? Any particular website? I have a Healthcare professional license from Botswana the BHPC for practicing optometrist, do I have an exemption? Hello. I’m a medical officer(MO) in South Africa and would like to apply for an MO or GP job in the uae. How do I go by doing this? Do I apply 1st and wait to get an offer, or do I apply for the license and the exam before the job offer? It would be really appreciated, if anyone could give me an idea about the list of credentials that I should be achieving inorder to find a job opportunity in the gulf countries. Hello I am Dr. Yasin Mustafa MD I have cleared all USMLE STEPS Including Step 3. I have few queries regarding exemption. 1.Am I exempted from all UAE Eams? 2. Is Experience Certificate required in my case? 3. What is the procedure to apply for job in UAE? AM I ELIGIBLE FOR EXAM EXEMPTION.? AOA, Wonderful article. Congratulations !! I am on Full General Registration with Irish medical Council. Plus I have FRCP from Royal college of Physicians and Surgeons, Glasgow. Appointment as Volunteer Asst. Medical Professor in one of US Medical School. Q: Would these make me eligible from exemption from Exam and would I be registered under General GP or Specialist GP ? Q: Which authority is quickest for assessment ? and do they offer in person visit for fast processing ? I have completed DGO five years back from Pakistan working as Registrar in a reputable hospital. Am I exempted from MOH? I am Dr Farid .I completed my FRCS FROM ROYAL COLLEGE OF SURGEONS & PHYSICIAN GLASGOW IN 1999. BUT MY EXPERIENCE IS MOSTLY IN A/E & GENERAL PHYSICIAN.THOUGH I WORKED IN SURGERY OFF & ON . Hearty congratulations dear brother for giving us a wonderful article on a valuable topic. My wife has been working in South Africa as a registered nurse for the past 3 years. She is a certified nurse of South African Nursing Council (Sanc). I would like to know whether she needs to pass HAAD or DHA to work in UAE. What about the old FRCS? Will that be an exception to the licensing exam? I cleared all the USMLE steps including step III and I am Indian citizen. So, will I be exempted from licensing exams? Please do spare your few precious minutes to reply. 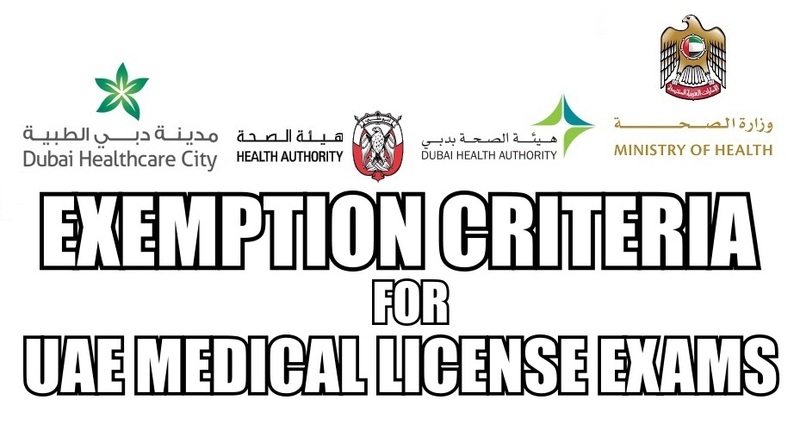 Yes, if you have the M.D (USA), you are exempted from the UAE licensure exams. I mean I have cleared all USMLE STEPS including step 3 but I have not undergone residency training in USA which unfortunately I have not been successful to achieve it. Only few states in USA allow to take USMLE STEP III without residency / before residency. Is any scope for Clinical Psychologist in UAE? Requirements for Eligibility? I am Dr Habib from Pakistan. how can I apply for DHA or HAAD …. I have done by MDS (PErio) from India and have done M Perio (RCSEd). What are the guidelines for me? Asalmu alikum wrwb. I’m pursuing my B.Sc Biochemistry in chennai. In the above mentioned exams what is best for me and its procedure plz. Thank you for providing such an insightful article. I am in the process of applying for a DHA licence to be practicing Optometry in UAE. I am currently an optometrist in Australia. I studied in Australia Bachelor of Vision Science/Master of Optometry and is a part of the Optometry Board of Australia. Do you think I will be exempted from the licence exam? I am an ER Physician MCEM,qualified. Does holding GMC full registration exempt me from all the exams? Plz let me know. Thanks. Thank you very much for this lovely and very useful website. However, I am still finding it bit difficult to understand what do I need to get can you pls help me on that? I have Bsc Nutrition and Dietetics degree from Cyprus and I am Registered in my country, I also have 2 years of experience in Hospital and as a Freelance Dietitian in Cyprus. Last year I have completed my MSc in the UK and I will be automatically registered in Association for Nutrition (AfN) in the UK. I would like to work in Dubai and Abu Dhabi in clinic or hospital. What license should i obtain than so I can go ahead and get registration, please ? I am Qualified Medical Laboratory Technologist with IMLT ASCPi, Currently working in Dubai since 2009 which is accreditated by College of American Pathologist . Is there any possibility to convert DHCC /ASCPi IMLT licence in MOH Licence. As per rules, graduates require two years of additional clinical experience for becoming eligible to take the UAE’s healthcare licensure exams. I need dha exam process.I don’t know anything for dha process.i an medical lab technologist.please help anyone. And 10yrs ago msc crra from sikkim manipal distance education university can i apply for data flow for msc crra . Thank u for valuable information. I passed MRCOG, I worked in the UK for almost 2 years and I have full GMC registration, am I exempted from the license test or not ? Assalamualaikum. Requested information. i HAVE MD as basic degree. I have MCPS AND FCPS ANESTHESIA PAKISTAN. I have been working AS SENIOR SPECIALIST ANESTHESIA in KSA RIYADH SINCE 2015. I HAVE SAUDI COUNCIL LICENCE VALID. I HAVE passed already two exams that is prometric and PEARSON FOR SAUDIA. WANT TO WORK NOW IN UAE. Irish Medical council registration exempt for licensing exam for MOH ? for Specialist Emergency Medicine position? I’m an Occupational therapist from Indian currently residing in Kuwait. I have my HCPC registration UK. Will I be exempted from DHA exam. Many thanks for your help in advance, i have one question if you please ; can plab part 1 replace just MCQs prometric examination step for Emirates then going for clinical interview evaluation in Emirates after that before registration and going for work as medical practitioner? . 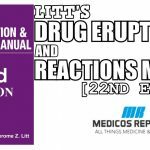 If i have MRCS or MRCP ( without the GMC registration, without CCST, CCT) then am i exemted from writing the licencing exam? 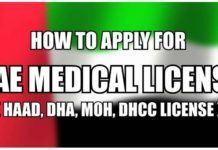 What is my eligibility for Doctor job in UAE? Whether AMC1 eligible for exemptions? What about Canadian Registered Nurses? I am Arab Board of Pediatrics and Saudi Board of Pediatrics,Fellowship PICU,Still I have to apear in exame. 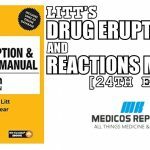 I am currently practising in the UK, have passed my PLAB 1 and 2 – do I still need to give DHA licence exam? thank you so much for the information.i have completed doctor of medicine (MD) in community medicine in 2015 and have 3 years of experience.so i would like to get job in preventive medicine dept or doctor in public health clinic.for these two category MOH required or not?please guide me to get job in my concerned Md. can i apply and write both MOH and DHA simultaneously? What about the south African qualifications. CMSA, Mmed? Can we convert DHCC licence to HAAD licence. hello every one , i have completed doctor of pharmacy in 2015 from algeria ,i have experience 3 years in a commercial company of medicine ,plz can i apply for HAAD ? Good narrative and enlightening article. If I have a CESR from UK, on a Specialist Register of GMC UK for 6 years, With FRCS Trauma and Orth, FRCS, MS and MMBS. Currently working as a Full time Consultant in UK NHS hospital for last 5 years. Can I get Teir I DHA license. First off, I wasn’t aware of the exemption criteria. I am applying for DHA as a Medical Laboratory Technologist and got as far as scheduling an assessment date. However, I just found out that being a holder of an ASCP certificate, I am exempted from the assessment process. I had been emailing both the dataflow and the HRD but haven’t gotten any response yet on how I can continue with the application with regards to being exempted for the assessment. Can you give me an insight on how to proceed next? HI, I have done MD in preventive medicine and working in diabetes speciality. I have teaching experience in preventive medicine in medical college and clinical experience in tertiary care/specialist hospital as diabetogist in treating diabetes and its complications and running clinics for over 5 years. 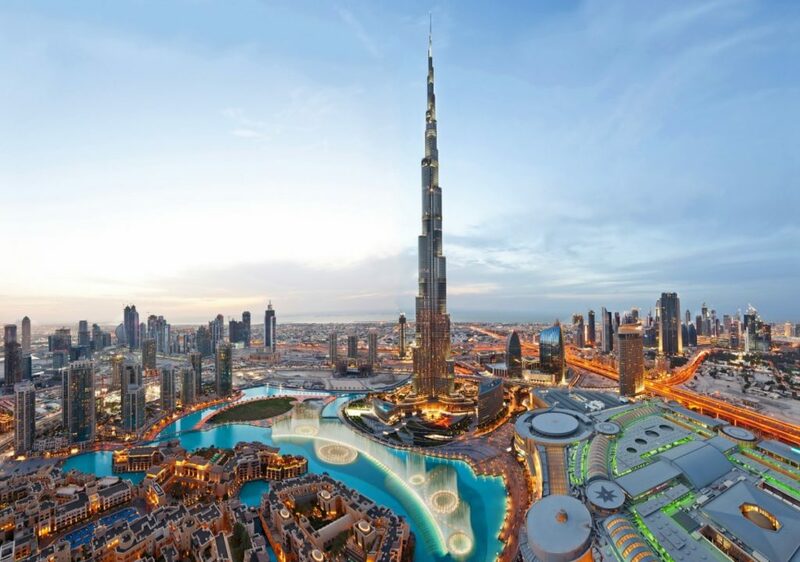 I want to relocate to uae. what exam i have to take if i want to work in university or work in hospital as diabetologist. I have passed FRCS ophthalmology from Glassgow. Am I exempted from Haad?? I am a specialist in Medicine in India. But i dont have 2 years experience post my MD. Can I be eligible for.DHA exam? Hi! 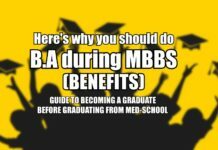 I have done mbbs and have just completed my housejob would i be exempted from moh if clear plab 1 and 2 without having two years of experience? What if one clears usmle step 2 without step 3, can he still be a general practitioner in Dubai? If yes what is the procedure to apply? What is exemption criteria for dentists who passed NBDE part 1&2 from USA and have experience from USA also. Iam a pathologist with 3 years of experience. I have done M.D. from India. How I should apply for pathologist position .Can you guide me. 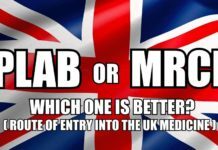 Does the licensing exam exemptions rules also apply to a foreigner (EU/European) registered with the British GMC? HI,I am a dentist passed MFD Part 1and 2 from Ireland am I exempted from HAAD?